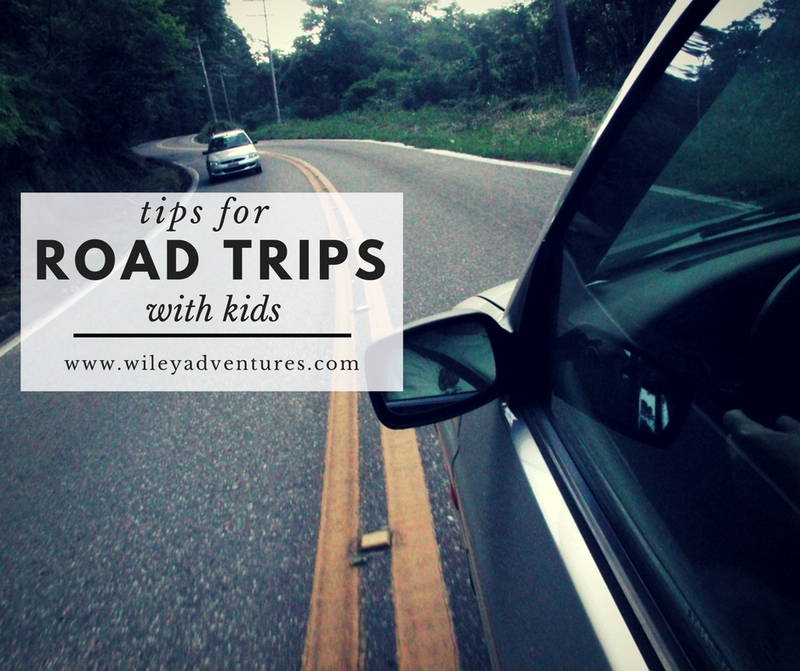 We have taken so many road trips with our four kids, that I have started to prefer car driving to flying with kids. As a family, we all really like to travel and now that our kids are getting a little older, they are able to really enjoy it too. Since my oldest was born, we have traveled several times a year to see family or for family vacations. We have logged thousands of miles across Texas, and are started to get our fair share in across the southern states now too. Each of my kids are different in the car, which shouldn’t surprise me. One of the things I notice and talk about the most with them is how different they each are from each other. They each have their own quirks and that doesn’t change when we strap them into their seats and hit the road. One of my kids is just a naturally awesome traveler, another, books could hold her attention for longer than the drive, one screamed bloody murder any time the car came to a stop, and one rarely ever can fall asleep in his car seat. All have held the crown of champion car whiner from time to time. That being said, we have learned some tricks and gathered some tips and have honed our travel skills quite a bit in the past few years. So much so, that when we traveled from Alabama to Texas for Thanksgiving break, a 10 hour drive, we had ZERO meltdowns on the trip there (the trip home wasn’t quite as successful, but you win some and lose some). Here are some things I have learned to have a smooth and successful drive. This took a little trial and error for us. When my oldest was our only, we would sometimes drive through the night so she could sleep while we drove. My husband is an excellent driver and was able to stay awake most of the time. One disadvantage to this option is that by the time you get to your destination, the parents are exhausted and the kids are full of energy and raring to go. When our second born came along, we realized quickly that driving through the night wasn’t the best option for us.Shepherd was the one who screamed every time the car stopped. He didn’t sleep great in his car seat for long stretches of time, even if it was the middle of the night. Overall, he was just a cranky car traveler as an infant. This caused us to restrategize a little bit and we came up with the plan that has worked best for us for the past several years. We wake up and leave really early in the morning. Typically between 4-5:00 am. I have the kids sleep in comfy clothes (like sweats) that are comfortable enough for car travel but aren’t necessarily pjs. We pack the car the night before. The morning of, I grab water bottles, baby monitors, pillows and white noise machines and stash them in the car. We wake up the bigger kids first, have them go potty, and get them into the car and then wake up the baby, change his diaper and then get him strapped in. The first half hour or so, they are all pretty excited. I try to have a snack breakfast ready for them in the car, something like cereal in baggies or a gogurt or pop tart because my kids can get a little motion sick if they don’t eat something. After about an hour, they typically crash again and we tend to stop around 8:00 ish to eat a more substantial breakfast. We have learned not to get frustrated by having to take breaks, but to take advantage of them. If someone needs to potty we all try and get out and stretch our legs or change a diaper (or in the past nurse a baby). There are times that we try to avoid stops. One of those reasons is when the majority of people are sleeping, we try really really hard not to stop. Even when I was nursing babies, if they baby was asleep, I didn’t stop to nurse unless we had a good reason. I let the schedule be stretched on long car rides. This always worked in my favor and was worth the flexibility. Also, if we have an upset baby who just needs to get “there”, we will sometimes just try and push through without stopping. Just like having a snack breakfast ready for when we leave, I try to have snacks readily at hand too. My go-to snacks are granola bars and fruit snacks. I also bring a water bottle of sippy cup for each kid. My kids are pretty good at going long stretched between bathroom break, so the water isn’t something I’ve had to worry about too much, but it might be something to consider if your kids can’t hold it very long. It always helps us to have things organized and clean when we start a trip. We will typically clean it out really well before we pack it. Then, we try to be strategic about what we pack where. For example, I typically pack the diapers and wipes on the floor underneath the baby’s car seat so I have easy access to them whenever we get out. I also tend to keep the snacks where I can reach them and toss them to the back when need be. I have my youngest two in the middle seats and older two in the very back because the younger ones typically need more attention than the older ones. When we are at home, we keep a pretty good limit on our kids tv, movie and tablet time. But when it comes to long car rides, we are very lenient. We will typically rent a couple Redbox movies (Because you can return them to any redbox location!) and we try to rent ones the kids havn’t seen before so they will hold their attention better. I also keep a regular case of DVDs that they have seen before in the car just to have more options. I do sometimes hold on to the tablets until we REALLY need something to grab their attention or when they are struggling with a happy heart. I also sometimes use it to specifically reward good behavior (AKA: NO WHINING) in the car. The day before we leave, I have the kids select 3 books, 1 lovey (blankie), and 1 stuffy (stuffed animal) that they want to bring in the car with them. All four of my kids enjoy looking at books in the car so I tuck their choices in right beside their seats so they can reach them. These things have really helped us and our kids be able to actually enjoy the journey, not just the destination! What things have you found to help with kids in the car? For more travel tips, check out my "Travel" page or feel free to email directly for help with a specific trip!